If you google it, you get a million answers so I checked a list of what was shared by 15 people that were tagged as inventers/innovators. Enter Buckminister Fuller (1895-1983) aka “ Bucky”. Now there was a man forging his inventions into a world and at a time when we were just not quite ready. He stands as one of my heroes for his inventions and his sheer persistence. He just wanted to find solutions for our problems but changing habits is, as we all know so very personally, changing habits is, Doggedly hard work! From Wikipedia Bucky is listed as American architect, systems theorist, author, designer, inventor and futurist. The Geodesic dome was his invention and 25 years ago after a long slog to the South Pole I saw it with my own eyes! He was innovative and clearly ahead of his time! So, here we are just the two of us, Hilde and Sunniva, building a network of people that are truly pushing the boundaries of innovation and helping us to evolve into what is possible in terms of minimizing our carbon footprint. We are fortunate to meet fascinating people and we will gradually introduce our HITI community to them in the months to follow. Our promise is to keep working to find ways to encourage others to love- with a capital “L” their natural spaces and to connect, care and align with ideas, habits and innovations that matter. Allow us to introduce you to a group of McGill University Engineering graduates that are modern day Pioneers and Innovators. The company is Taiga Motors, founded in 2015 by a group of those McGill engineers that believed there shouldn’t exist a compromise between exhilarating power sport pursuits and sacrificing the environment. The problem they faced was abandoned snowmobiles because they ran out of gas or had engine troubles, and the obvious noise and exhaust pollution. Taking on one of the most challenging vehicle segments to electrify, Taiga pushed the frontiers of electric technology to achieve the extreme power, weight and thermal specifications required to outperform the high performance, but polluting 2-stroke engine. The result was the world’s first electric snowmobile designed from the ground up that is faster, more reliable, more efficient & better connected to winter. 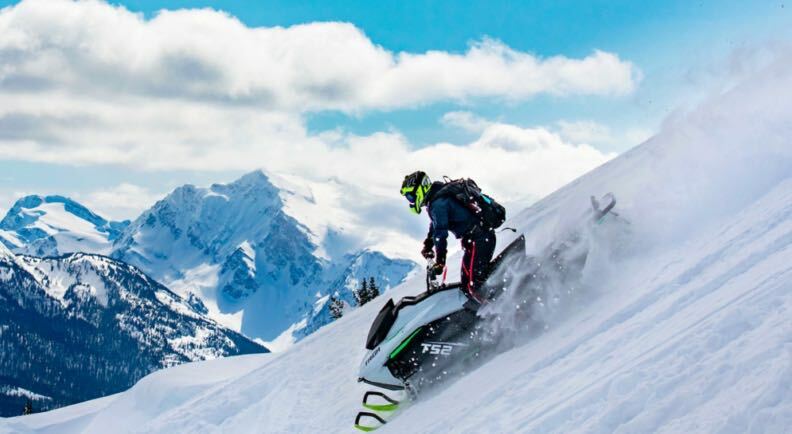 Hearts in the Ice is proud to align with Taiga Motors and use their snowmobiles up in the Arctic starting in September 2019, 2 months before they will be available commercially. With a range of 100 km on the slopes, several charging options including one in 20 minutes, zero maintenance and a 50,000 km powertrain warranty, the Taiga Motors electric snowmobile is designed to meet the highest standard of industry. At Bamsebu and for 9 months we will be charging the snowmobiles with alternative energy – Solar and wind-through our “ Power Container” designed by Power Controls and Assemblin. For our readers: Is there any problem you can think of in your community or outdoor pursuits that you have a solution for? Please share this with us.